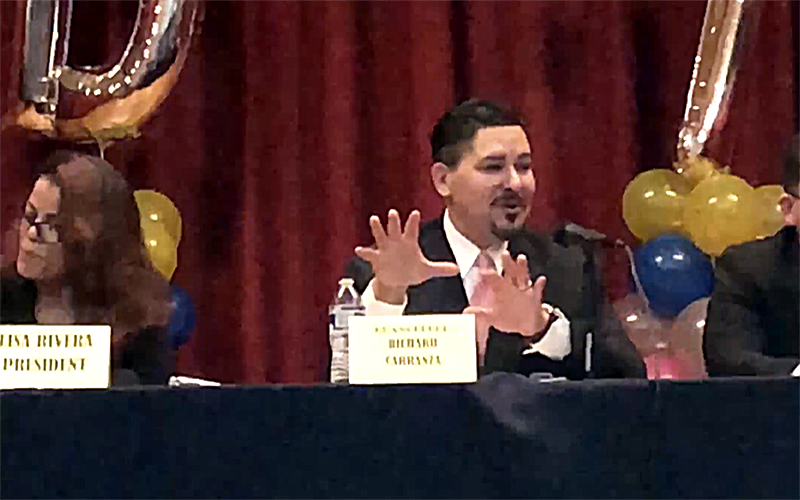 New York City high school students got a public response from Department of Education boss Richard Carranza this week to years-long questions they’ve been pressing about discrimination in access to Public School Athletic League (“PSAL”) after school sports. More than 17,000 Black and Latino high school students in New York City attend schools with no interscholastic sports at all. The average Black or Latino student has access to fewer sports, fewer teams, and less funding than students of other races. But Mr. Carranza, who is Chancellor of the Department for Education, has yet to set forth a plan to stop the discrimination. Chancellor Carranza’s pledge to address the unequal system, following NYLPI’s filing suit last summer against the DOE and PSAL, drew guarded praise from champions on the issue, who said it’s good to hear that he understands how important the issue is, but that it still doesn’t help students stuck in an unfair system today. Meanwhile, it’s very important that New York City Councilmembers take action to ensure that the inequities can’t be swept under the rug. You can help, right now, by writing to your New York City Councilmember today. The case has drawn coverage from international and national press including The Guardian and the New York Times, and also drew Mayor Bill de Blasio into the spotlight after an exchange he had with one of the plaintiffs, Matt Diaz, on WNYC’s Brian Lehrer Show, which was subsequently covered by the Daily News. The Chancellor said the DOE has changed the leadership at PSAL and is working with advocacy groups around ideas for creating umbrella organizations to create these kinds of programs. He highlighted meetings with students, and research his department has done into other systems. Students encouraged parents and attendees of the town hall to pose the questions as part of their work with the Fair Play Coalition. The Fair Play coalition continues its work with NYLPI and member IntegrateNYC, who is represented by NYLPI and co-counsel Patterson Belknap Webb & Tyler LLP, and Emery Celli Brinckerhoff & Abady, in the ongoing lawsuit about the inequity in access to PSAL teams, filed last summer.